Operations Updates: New staff, new reporting, new ideas! If you haven’t already noticed, there have been a lot of changes at Saha in recent months! I am so excited to update you on all of the improvements we’ve had. New staff, new reporting, new ideas! The team has more than doubled since we last introduced new members. Here is a brief introduction of all our recent additions. 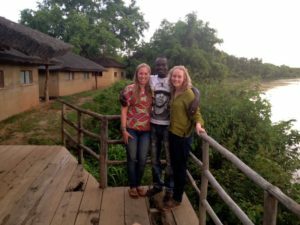 Last February, we said a fond fairwell to Eda and Morganne who have served as Operations Coordinators for over a year here in Ghana. A month later, we said warm hello to the new Operations Coordinator Rhiana Meade who will be working with me (Heidi)! Rhiana was actually a field rep during our previous Winter GLP 2018. 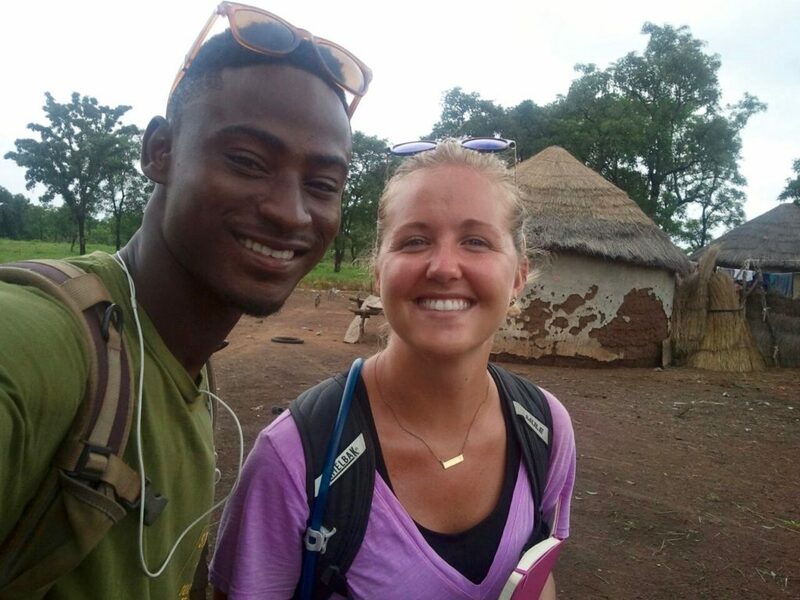 She helped open a center with TJ at Nyantag, little did she know that a few months later she would be returning to work full time with us helping implement even more villages. Here is a brief introduction of Rhiana. She graduated from Reed College in Portland Oregon with a degree in Chemistry and went on to get her Masters at Tufts University in Civil and Environmental Engineering. Previously, she worked for a Field Operations Supervisor for a Cambrian Innovation, a provider of wastewater treatment services. 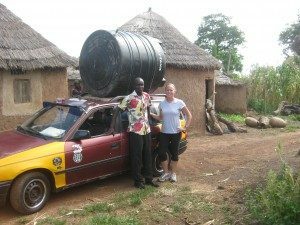 She has been to Ghana even before her field rep days. 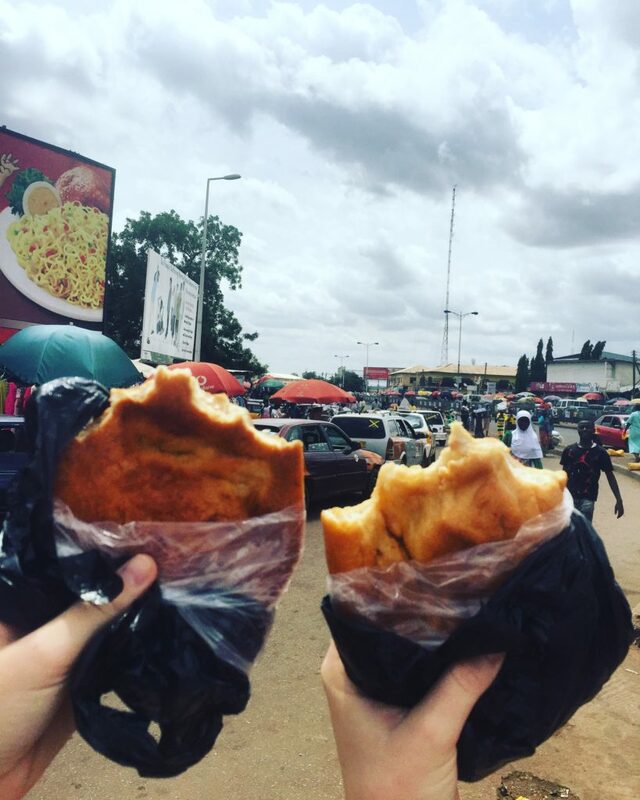 Her parents lived and worked in Accra for a few years, during which she visited them, found herself a Ghanaian Auntie, and was able to tour around the country. She has works with passion and compassion and can make an amazing Blondie! It been great having her as my counterpart. She was was able to hold down the fort when I went on vacation 2 weeks into her arrival and orientation. We plunged her into the Saha life, and she has done well! Next to introduce, is someone who took on a completely new role: Director of Operations. We welcomed Theo the same month Rhiana joined on. He was born and raised in Accra and went to Ashesi University to study Business Administration. Prior to Saha Theo worked with Delta and a Start-up called Laundry King – An on demand laundry service. Maybe we can get one of those here in Tamale? Theo is on the search for the best Wache in town, so any recommendations please send them his way. He will be taking over most of the administrative load from Rhiana and myself, so we can focus on optimizing the day to day management of our staff. 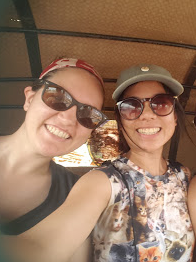 It’s been helpful having an in-country representative to focus on community relationships and building up the organization for future growth. Since the role is still being formed, he’s been doing an amazing job rolling with whatever we need him to to. Currently, he is going out 3 days a week to get a true feel of how the business run and what Saha does. 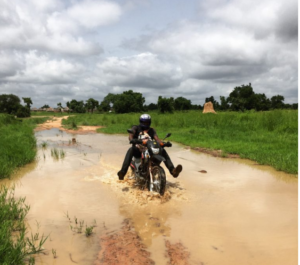 Since coming, he has been able to witness an implementation through it’s entirety, get incredibly lost scouting, and have difficult conversations with villages facing problems. Way to go Theo for taking on this role with bravery and openness! 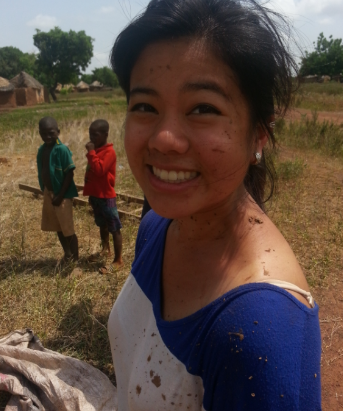 Abubakari Asita (aka Sita), she grew up in Tamale and started working with Saha back in 2014 implementing Balamposo. If she sounds familiar to you, you may have recognized her from Women’s week posts. 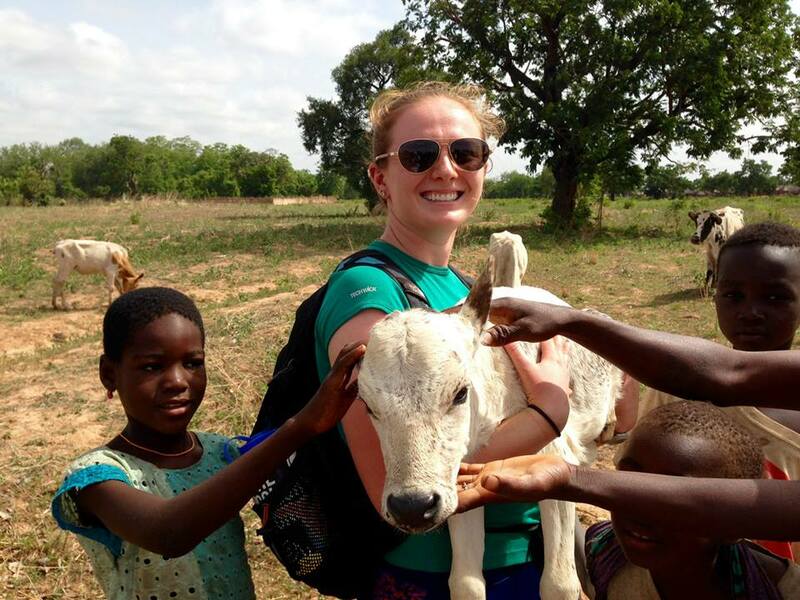 She loves being an inspiration to little girls in the villages she visits. 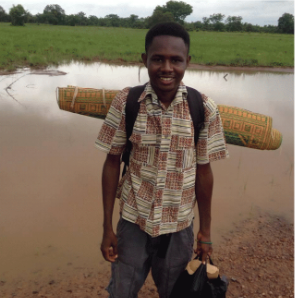 Alhassan Seidu was trained under Eric who would often take him out in the field monitoring and implementing. Now he can do that on his own as a full time staff. Seidu always shoos away the goats that wander into the Saha Office. Outside of Monitoring, Seidu is a skilled electrician and helps us with any electrical needs we encounter at the office. Ziblila Mohammed Taufik has been part of 3 Global Leadership Programs. His first implementation was Baiyili. Prior to Saha Taufik used to teach ICT, but now he enjoys seeing the clear water being scooped into the PT at the water centers. Amenyeku Dzorsah started as a translator for GLP. His first implementation was Changbuni. 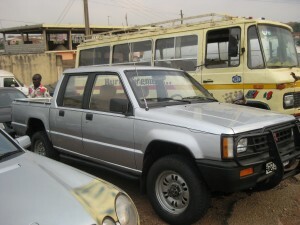 Prior to monitoring, Dzorsah was a taxi driver in tamale. 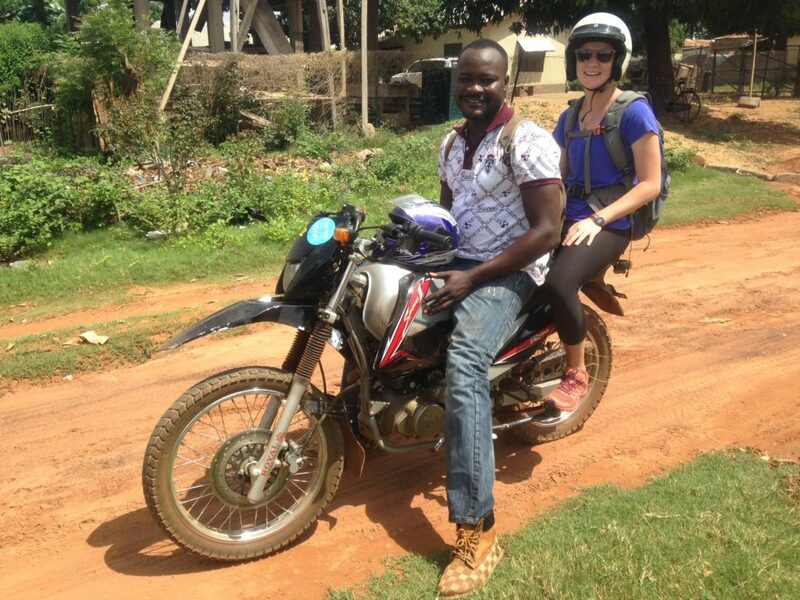 Now he gets work with the women entrepreneurs, talk to people during household visits about clean water, and drive a moto everyday instead of a taxi. I haven’t asked him which he prefers yet! Sulemana Tijani has known and worked with Saha in its very early stages with Shak and Kate. His first GLP village was Yapei-Yipela. Prior to Saha he worked at Melcom (the Tamale equivalent of Walmart) and drove a taxi. 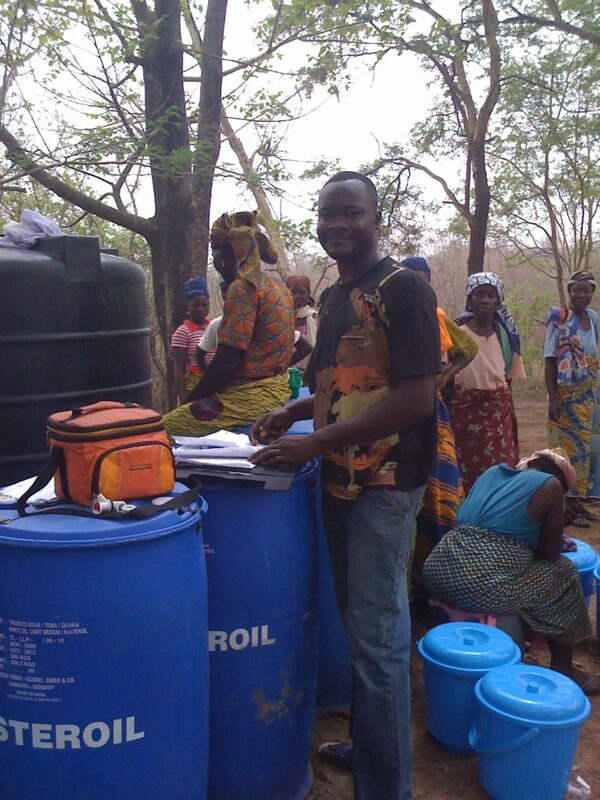 Now he can bring clean water to his country and work with other likeminded individuals. A larger team has allowed us to expand and focus! So starting in January, we divided up into 3 Distinct teams: Scouting, Monitoring, and Implementation. We divided up the team based on their interests, but there is the possibility of movement across teams if desired. For now, everyone is doing an amazing job in each of their teams. Because we have focussed teams, we can have more direct goals to achieve. 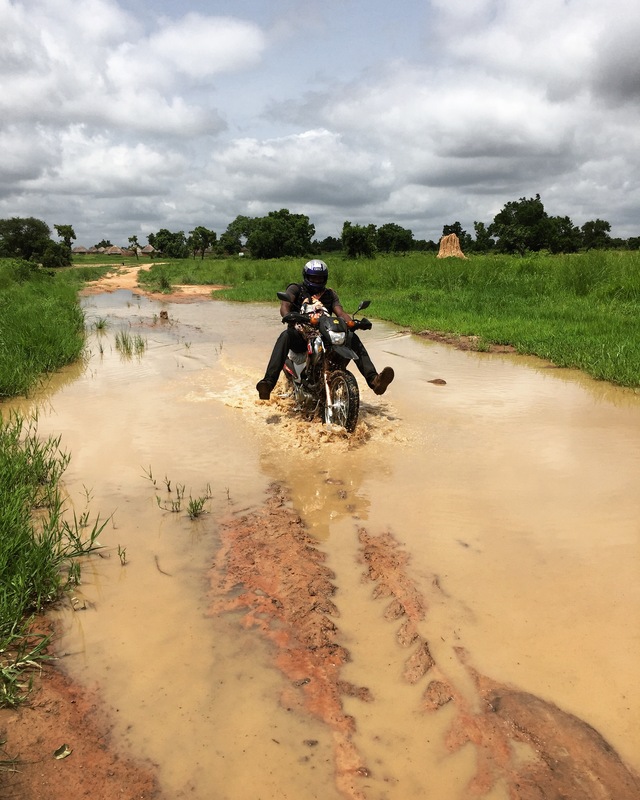 For the scouting team, our goal is map our all the villages within a 3 hr driving radius around Tamale, start plotting Salaga villages, and determine “Yes” villages. 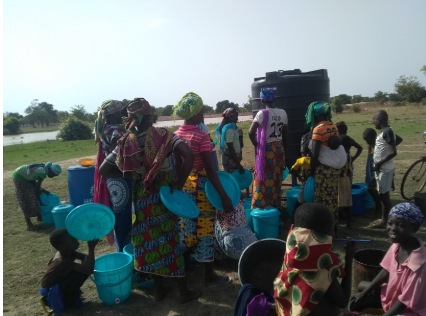 Our Monitoring team’s goal is to make sure our current villages are getting the support that is needed and to find ways to improve our implementations and trainings. Constant improvement is our motto! 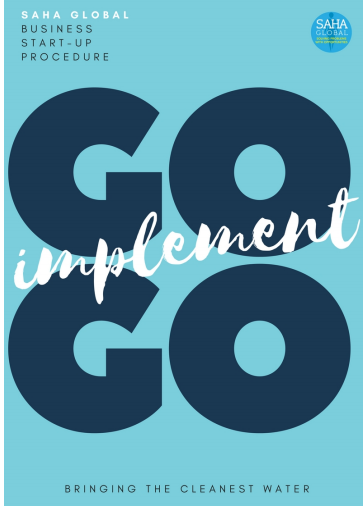 Our Implementation Team allows us to implement villages outside of our Global Leadership Program, which means we can reach more villages each year. It also helps us use what we learn from the monitoring team, to refine and perfect our implementations and trainings. I have been so impressed with how the team has handled the transition. You’ll see below, I’ve added a *Bonus* Team. These are our part time staff that also have been doing great work for us in the past few months. Blessing, a former translator for the GLP, is now helping us build relationships with the Districts, so we can connect our villages needs to gov’t bodies. 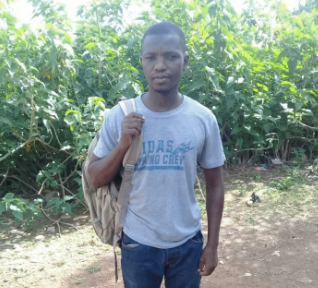 Mutala is our newest addition to the team, he and Blessing have been doing research for Kathryn to help improve our knowledge of water consumption. Kathryn has big plans for the research team, look out for her update! The increase in staff was only made manageable by the addition of this amazing data organizing tool we started using called mWater. With mWater we are able to take surveys, plot points, and collect data all through an application on our phones. Once the phone is connected to the internet, this information is synced and can be stored and analysed online. 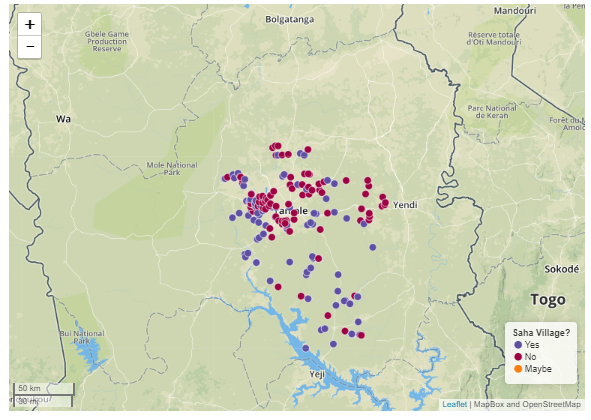 We piloted it in November and fully launched it in December, however since we are still in the learning phase, there have been several iterations and updates to how we collect data. This has been a game changing addition to the day to day work. We can say goodbye to the endless amounts of paper used and manually inputting information into excel. I am excited to see what we can do with mWater and will update you more on this in a separate post! Welp! If you felt like that was a lot to take it, it was!!! Thanks for reading through this “brief” update. If you want to hear about anything more in detail, leave us a comment! Me after helping build Jangbarayili’s solar center! 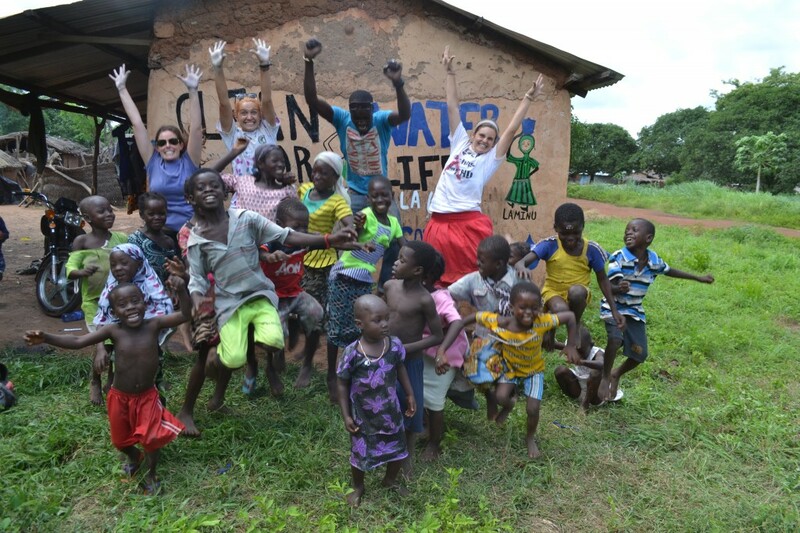 Hi, I’m Heidi and like all others on the Saha Team I have a passion for clean water for all! I got to celebrate graduating with a degree in Civil & Environmental Engineering from UC Berkeley (Go Bears!) by participating in Saha’s Summer 2015 Global Leadership Program. It was an amazing experience to be able to implement a solar business in Jangbaryili with Team Jaleel, which has stuck with me to this day! Working with Saha showed me how effective simple solutions could be and how important is was to invest time into getting to know the people. A quality that really stood out to me was that Saha’s ultimate goal is to have these villages self-sustaining. 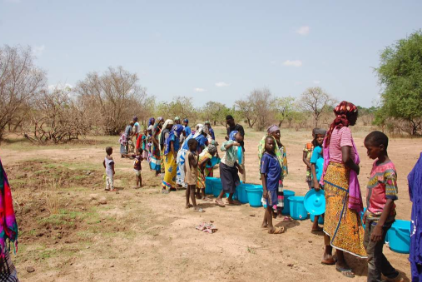 Give a village a clean water solution, sustain them for some time. 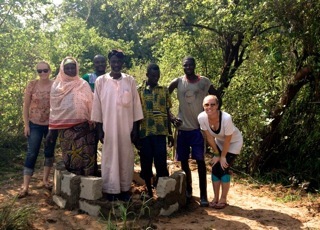 Give a village the understanding of the importance of clean water and how to get it, sustain them for a lifetime! Team Jaleel at a chief meeting. After the program, I worked as a Project Engineer for a General Contractor in SF and built high rise residential buildings. However, I soon realized that my passions were not being fueled my current position, so I decided to change that. I saw that Saha was hiring a new Operations Coordinator and I seized the opportunity. I was drawn (twice!) 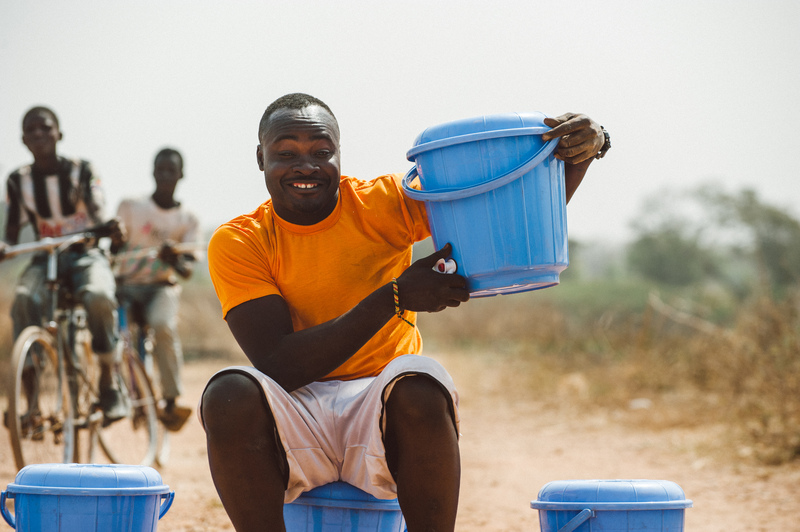 to Saha not only because of their passion for clean water, but their passion for people. Saha is overflowing with it! I look forward to see how I can contribute and collaborate to such a great cause and where the new year will take the Saha Team! 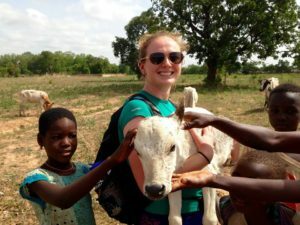 After my first trip to Ghana as a field rep in June of 2015, I knew I wanted to come back at some point in my life, but I couldn’t have anticipated it happening so soon! 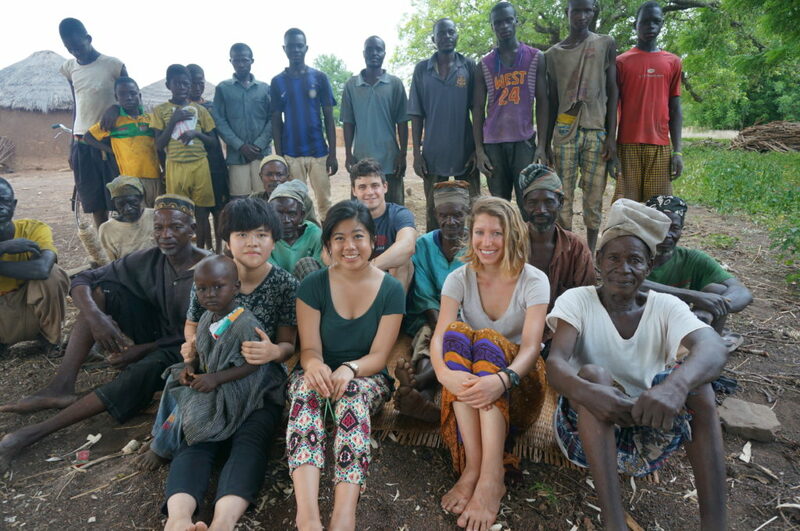 Getting to revisit my solar village of Namdu 1 and joining the Saha team is an incredible opportunity, and I couldn’t be more excited and grateful for what lies ahead! Similar to Eda, I graduated from Colby College in May so we will definitely be reminiscing on our chilly winters in Maine while living in the Saha house. 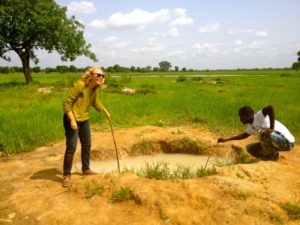 With a bachelors degree in Economics and French I knew I wanted to pursue a career in international development, but wasn’t sure of exactly what realm of the sector I wanted to be in. 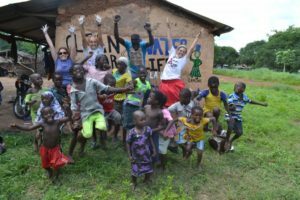 While searching for summer jobs I found the Global Leadership Program, and my three weeks in Ghana ignited my passion to combat the global water crisis. 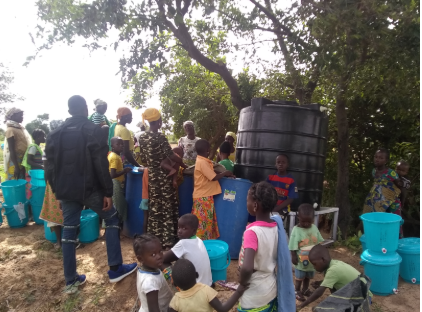 Witnessing the devastating effects of waterbourne illness as well as Saha’s incredibly simple and sustainable solution to providing clean water access directed my job search. After graduation I spent time in New York as an intern at charity: water, where I was exposed to the fundraising side of non-profits. I loved getting office experience, especially with a water focused non-profit, but I am definitely ready to get back into the field with the Saha team! As an Expansion Coordinator I will be assisting with the detailed monitoring efforts to ensure we’re doing everything we can to support the success of our businesses. 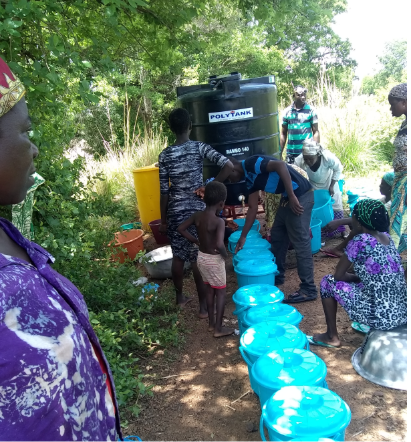 I will also be running case studies with various villages to help us understand how households are using their village’s water, and how Saha can encourage clean water usage. 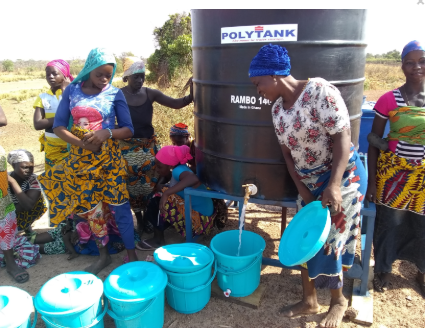 Saha wants to ensure that the women entrepreneurs are profiting from their businesses and that no contaminated water is being mixed into anyone’s diet. 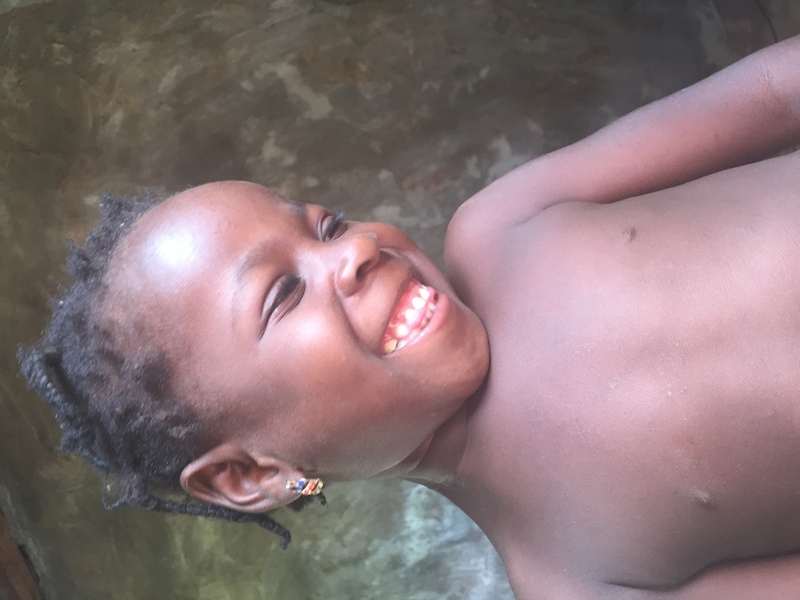 The next several months will be a huge learning moment for Saha, and I can’t wait to see what methods prove successful to instilling safe and healthy water practices to all of Saha’s 46,510 (and growing) beneficaries! A major opportunity to use this word in the country’s rural areas the arrived with the launch of Saha Global (www.sahaglobal.org) in 2008. 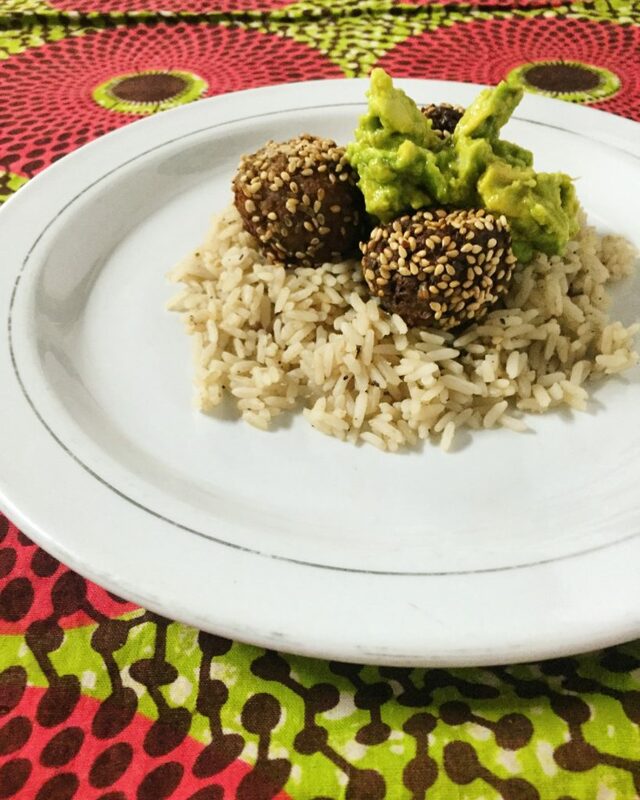 Co-founded by Kate (Clopeck) Cincotta and fellow MIT graduate Vanessa Green, Saha Global’s frontline work is entirely in Ghana. A small Boston staff handles volunteer recruitment and fundraising. 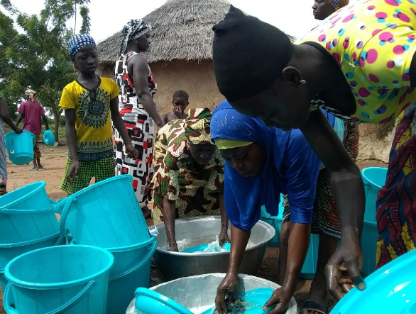 Saha provides cheap, clean drinking water to people living in rural communities by training women how to take advantage of the resources available to them and donating the capital that they need to start a clean water business. 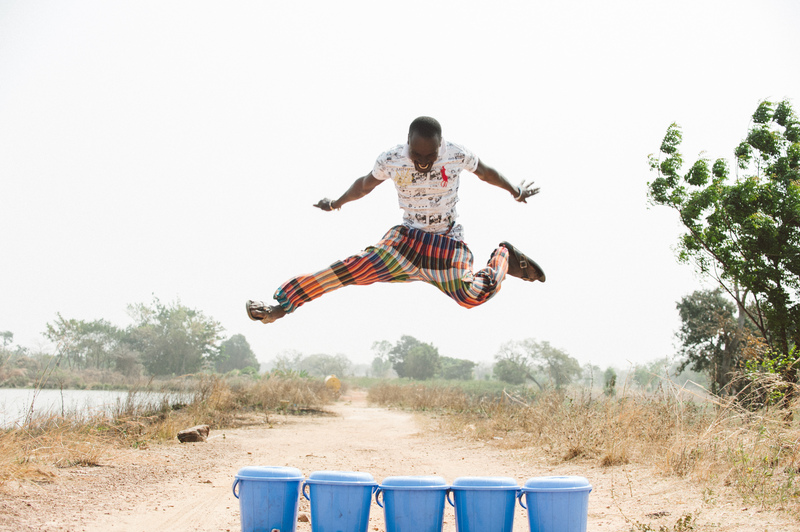 To date, Saha has launched 93 water businesses in Ghana. 100% are still in operation. The course brought Fellows and faculty together for an intensive week to work on design for maximum impact and scalability. Held in Bolinas, California, the course gave Fellows the rare opportunity to focus completely on their ideas and a systematic way to apply them. What caught the attention of Mulago? Cincotta says it’s Saha’s 100% success rate, simple approach, and commitment to long-term monitoring and evaluation. 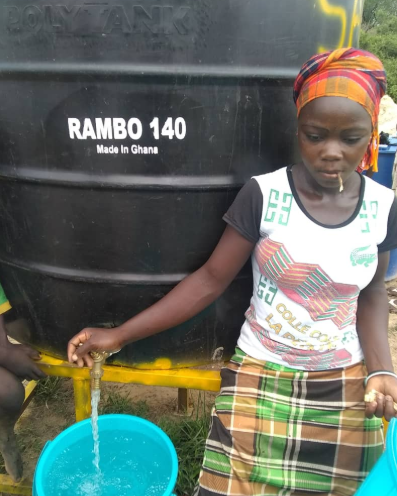 She adds, “We’re really proud of the impact we’ve had so far: Over 45,000 people in Ghana now have permanent access to safe drinking water.” But there are 800,000 in Northern Region Ghana who still lack access to clean water. 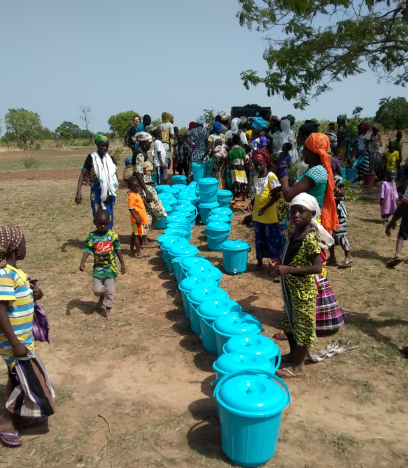 Fueled by its partnership with Mulago, Saha’s goal is to rapidly scale in northern Ghana, doubling its impact by 2018, to reach over 400,000 people in the next 5 years. 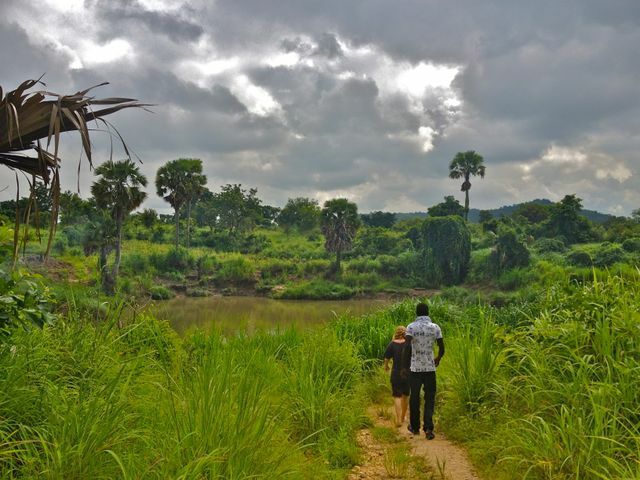 Saha Global certainly chose two of Ghana’s toughest challenges: (1) There’s a very high risk of food or waterborne diseases such as diarrhea, hepatitis A, and typhoid fever; and (2) The biggest single economic issue is the lack of consistent electricity. Things are improving, though average life expectancy is just 66 years, per capita income is $4,300, and the 2015 inflation rate was 17%. Green and Cincotta understood that the water needs in Ghana were not due to a lack of technical solutions. “We knew the challenge lay in the implementation of those solutions in the field. 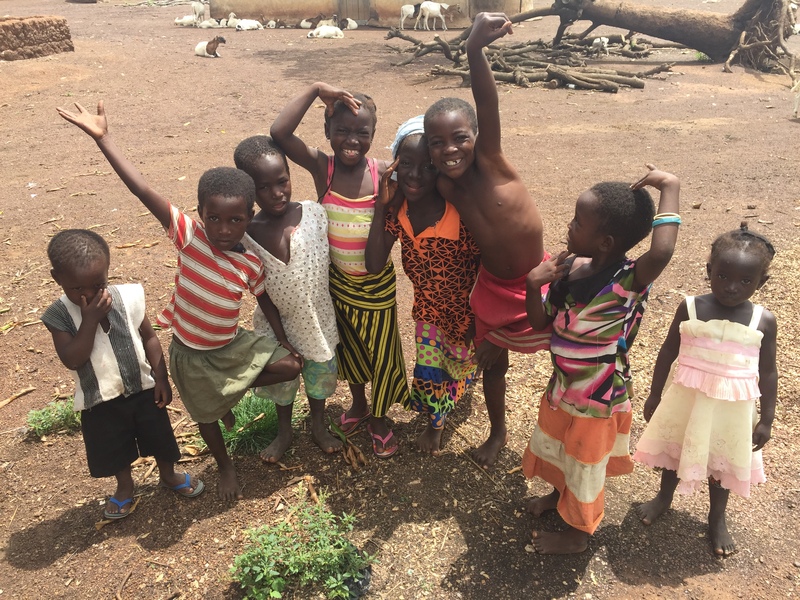 We developed a durable implementation model, community-scale, low-tech, social enterprise approach that formed the foundation of Saha Global’s model.” They raised funds to pilot the idea from the Public Service Center at MIT, then headed back to Ghana in 2008 to found Saha Global. 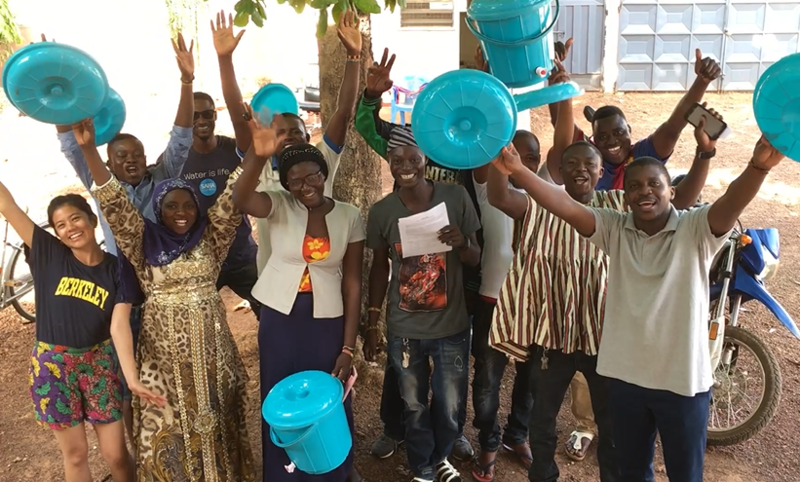 In another project, Saha is helping local entrepreneurs use solar energy to light lanterns so children can study at night, and to charge cell phones – also for a small profit. 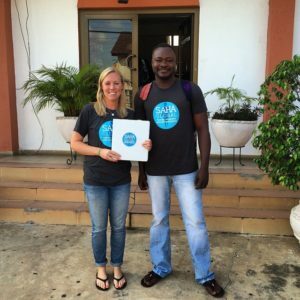 Twice each year, Saha Global recruits and trains scores of college students in social entrepreneurship. 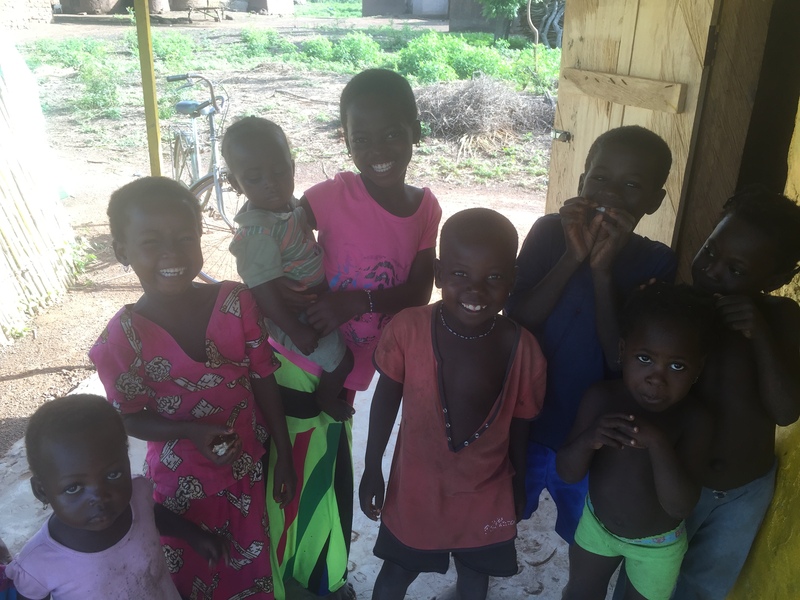 Volunteers spend three weeks in Ghanaian villages helping to set up micro-businesses. 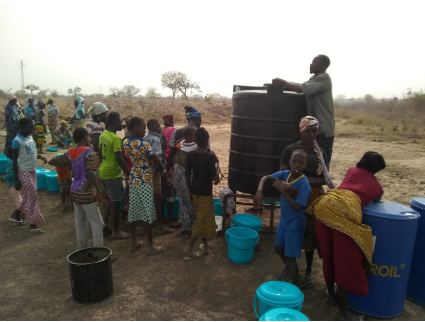 In each village, the community designates two women to learn how to chlorinate water and sell it to fellow villagers for a small profit. 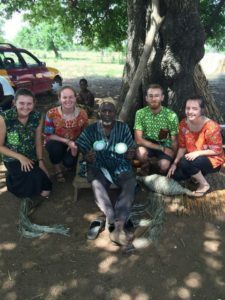 College students interested in being Field Reps in Ghana can learn more at the Saha Global website. Saha Global also seeks individual donations, Corporate Partners and Field Rep Sponsors. 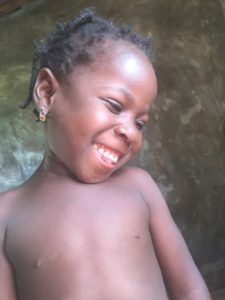 For more info, email kate@sahaglobal.org or visit www.sahaglobal.org. As a 501(c)(3) organization, donations are tax-exempt to the extent allowed by law. Donations may be made online or via check made out to Saha Global, and mailed to 26 West Broadway #302, Boston, MA 02127. 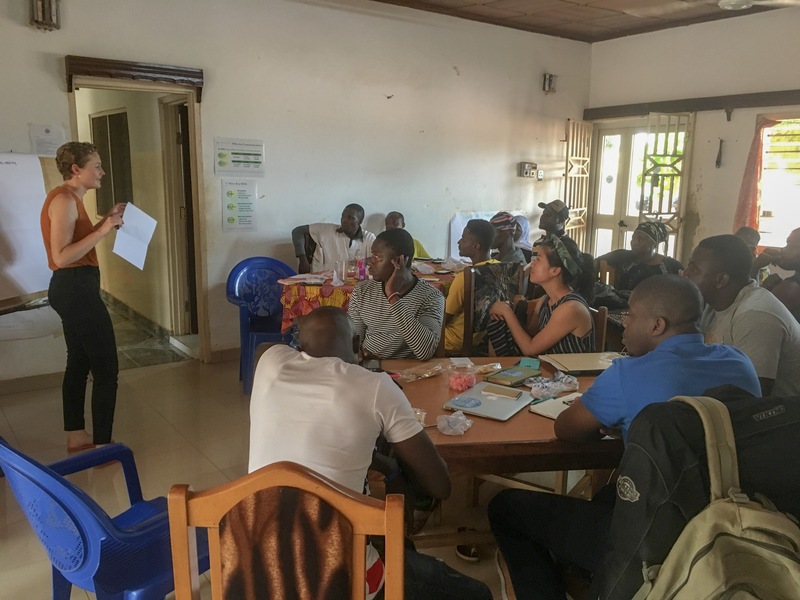 Two leadership programs down and two weeks of monitoring under the belt – wow, life in Tamale is different when there aren’t 60 salamingas running around town. As I settle into this new lifestyle, I am starting to reflect on the differences of being a Field Rep and working as a staff member in Ghana. As a field rep, my mind was set on the end goal of beginning a water treatment business in Sagbarigu. There were definitely problems along the way, but we were able to find quick and easy solutions to each problem we faced. We left in June 2014 confident that the skill sets we gave the women entrepreneurs were enough to keep the business running. Now I am back two years later as a full-time staff member. 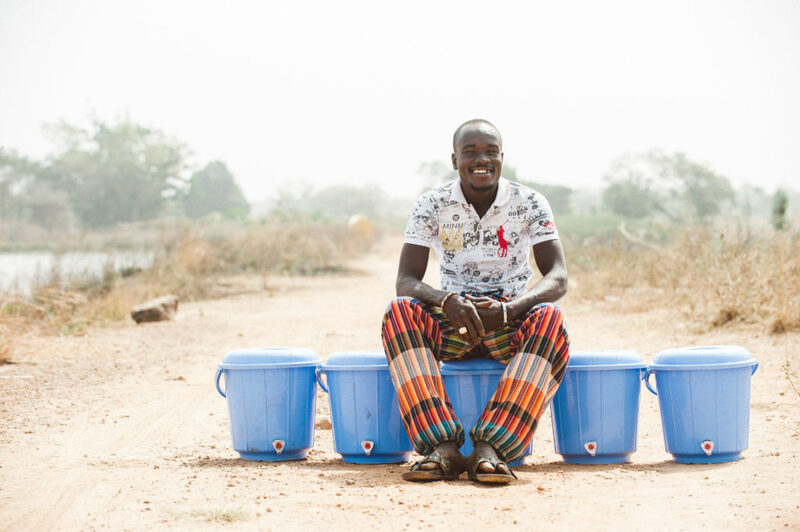 Yes, Sagbarigu’s water treatment business is still running well. But, I have already learned in my short time here that there are many gray areas to the success of these businesses. It’s not just about the incredible team that implemented these businesses. It’s also about the incredible staff members that work hard to monitor in these communities. Every day, we visit 3 communities to check on the center, sales, successes and challenges of the water and solar businesses. I am learning quickly that each business has its unique challenges that I could not have imagined as a field rep. As I sit in the solar center of Chandanyili with Wahab and the 4 women entrepreneurs talking about money management, I can see a concrete difference in the way I solved problems as a field rep and the way I solve problems now. Instead of wondering, what can be done right now to solve this problem, I ask myself: What is better for the sustainability of this project? Should we use the easy solution to get the center back up and running now? Or talk with the women, encourage them to hold a community meeting, and let us know their final decision on sales? Do we lead these business owners towards the answer we want to hear or do we let them find solutions to their problems that best fit their community? Will their answer end up being the same as ours? 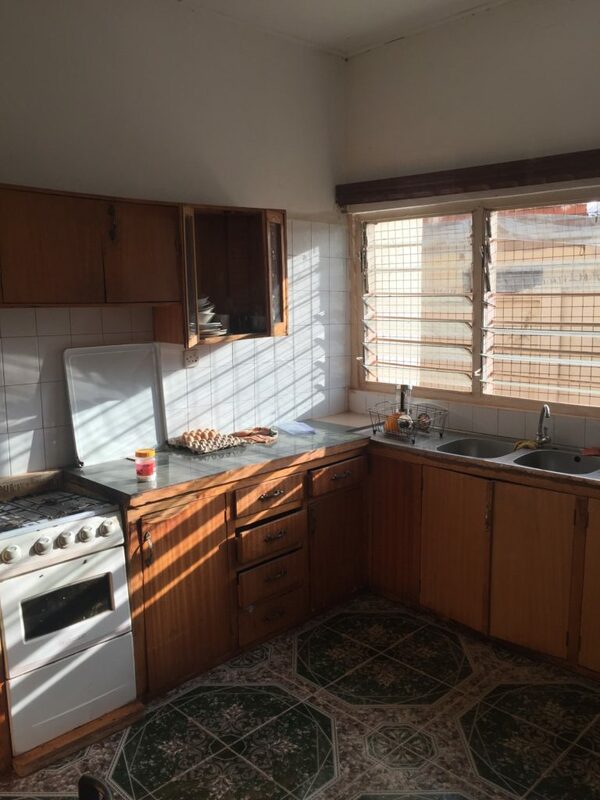 I may not know the answers to all of these questions now, as they are sure to be different with each unique situation, but I have learned so much already from Eric, Wahab, Amin, Peter and Shak. Eda and I continue to be thankful for their patience, willingness to answer any [silly] question, and the constant laughter (usually relating to our most recent marriage proposals). We’re excited to see what this year has in store for us!